The Ramayana is one of the two main itihasa – historical epics – of India, along with the Mahabharata. It describes the activities of Krsna’s incarnation Lord Rama, including the kidnapping of His consort Sita by Ravana, King of Lanka, and the subsequent military campaign to release her. 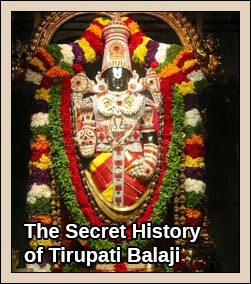 Since a substantial amount of the history takes place in Lanka the actual real identity of Lanka is important to Vaisnavas and devotees of Lord Rama in general. For hundreds, perhaps thousands of years the island that is currently known as “Sri Lanka” has traditionally been identified as the “Lanka” of the Ramayana. But is this really the case? Does the Ramayana support this tradition? This short article explores other possibilities that are consistent with the text of the Ramayana. Strict followers of Krsna’s Vedic culture accept sabdha brahma – knowledge revealed by God (the Ramayana) – as the highest evidence, superior to all others, including tradition. 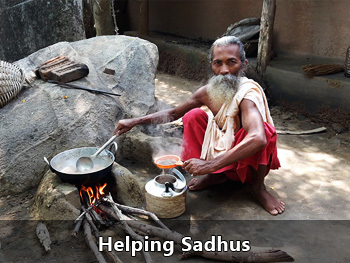 What do the Sastras Say About the Real Lanka? Until 1972 “Sri Lanka” was called Ceylon, which is derived from Tamil Ceralamdivu, Sanskrit Simhaladvipa and Persian Sarandīp. For more information on the former names of Ceylon click on this link and this link. Śrī Śukadeva Gosvāmī said: My dear King, in the opinion of some learned scholars, eight smaller islands surround Jambūdvīpa. When the sons of Mahārāja Sagara were searching all over the world for their lost horse, they dug up the earth, and in this way eight adjoining islands came into existence. The names of these islands are Svarṇaprastha, Candraśukla, Āvartana, Ramaṇaka, Mandara-hariṇa, Pāñcajanya, Siṁhala and Laṅkā. However Siṁhala cannot be Laṅkā because “Laṅkā” is listed as the name of a separate and different island. “Ceylon – Sri Lanka” is less than 100 km (62 miles) from India whereas in the Valmiki Ramayana1 it specifically says that the real Lanka was a distance 100 yojanas across the ocean. Thus, Lanka was at least 1287 km off shore. This distance of 100 yojanas is mentioned many times in the Ramayana as the distance a person would have to cross to get to Lanka. And, Lanka was about 500 km to the west of Ceylon. Why? Because in the Surya Siddhanta the prime meridian2 is the one going through Avanti (Ujjain). And, it explicitly states that the prime meridian went through both Avanti and through “the haunt of the rakshasa”, that is, Lanka, the kingdom of the king of the rakshasas, Ravana, as well as other places. And, in the Siddhantas “Lanka” is taken to be the place with no longitude and latitude.4 No longitude is because it is the prime meridian and no latitude is because Lanka is on the equator, whereas Ceylon is about 7 degrees north of the equator. 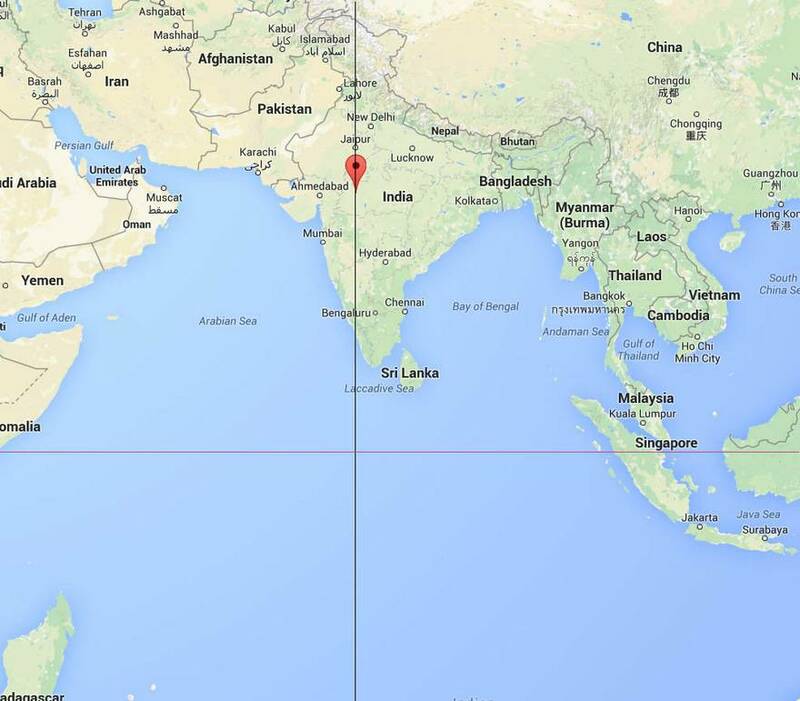 We don’t see much at the intersection point of the meridian of Avanti and the equator in the Indian Ocean. 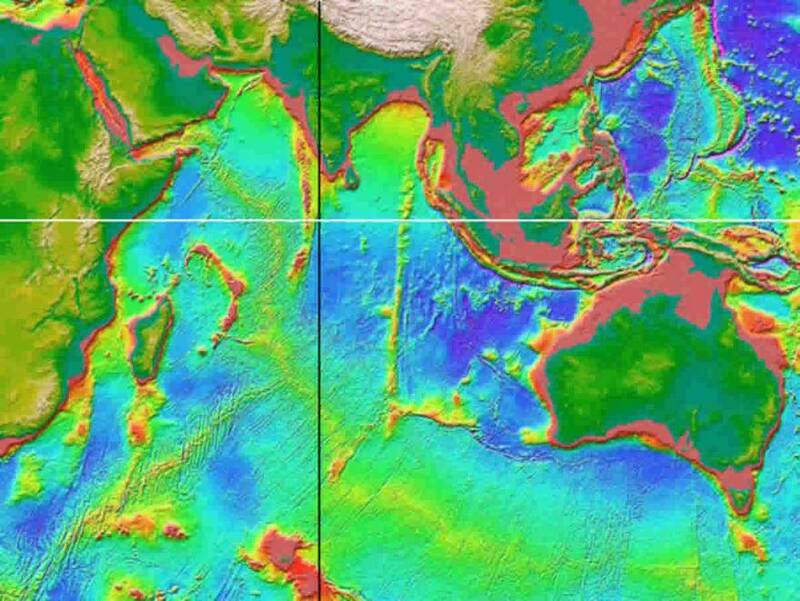 Now let’s take another look using a bathymetric map that shows the topography of the ocean floor. Now we see that close to the place where Lanka is supposed to be is a ridge of underwater mountains some of which stick up as the Maldives Islands. Now it is time to take in another piece of evidence regarding the variations in sea level caused by ice ages. Scientists have discovered that there have been several major ice ages in the distant past. During an “ice age” large areas of the land surface (30% in the last glaciation) get covered with massive sheets of ice 3 km thick. The water for this ice comes largely from the oceans causing a drop in the sea level. It is estimated that the maximum drop in the sea level during the last glaciation was about 130m. 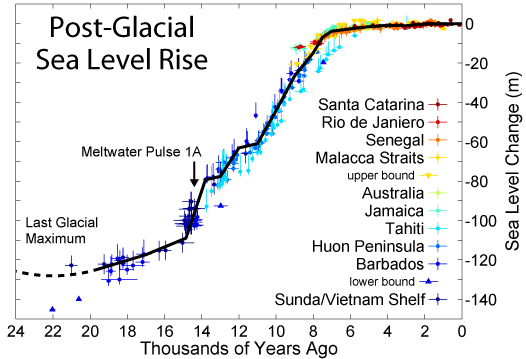 In other glaciations the drop in sea level is not known, it could be more or less. The current ice age that we are in is the Quaternary glaciation, also known as the Pleistocene glaciation, and refers to a series of glacial events separated by interglacial events during the Quaternary period from 2.58 million years ago to present. We are now in an “interglacial period” meaning a warm period in the ice age. Ice ages are a series of long periods (40,000 – 100,000 years) of glacier formation followed by a short period of thawing then another long period of glacier formation. This diagram shows the changing sea level at different points in time. We note that 20,000 years ago the sea level was about 130 meters lower than it is today. Though 20,000 years is a long time the events in the Ramayana took place at the end of the last Treta yuga about 900,000 years ago. 5 Since historically there have been rising and falling of the sea level. And currently there is concern that the sea level will rise even more because of global warming, flooding low-lying areas. It is therefore not unreasonable to infer that such cyclic rising and falling of the sea level also took place in the distant past as a natural phenomenon, like the changes in the seasons that also took place in the past. Because as Krsna explains in Bhagavad-gita 8.4 “Physical nature is known to be endlessly mutable.” Hence it is not unreasonable to infer that the sea level would also be subjected to periods of rising and falling throughout the history of the material creation including the time during and after the Ramayana. Now lets take a look at another bathymetric map, this time showing additional areas that would be above water if the sea level had fallen 130 meters +/- 10 meters. In this map the red and dark pink parts would have been dry land during the last glaciation because of the drop in sea level. The first thing to notice is that Ceylon – “Sri Lanka” is not an island but actually part of the Indian landmass. That definitely rules out Ceylon from being Lanka. Next we notice that very close to where the prime meridian of Avanti crosses the equator is a large island. 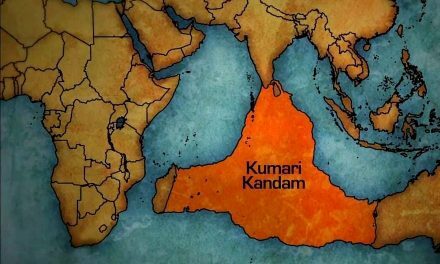 So this strongly suggests that in the distant past an island existed in the location where the Ramayana and Suryasiddhanta said Lanka would be if the events of the Ramayana took place during a period of glaciation with a much lower sea level. This island is certainly very much closer to the intersection of the prime meridian and the equator than Ceylon – “Sri Lanka” is. Above is close up view showing more clearly how Ceylon was part of the Indian sub-continent. The vertical line is the meridian of Avanti while the bottom of the image corresponds to the equator. Aside from changing sea levels there are many historical incidents of islands disappearing because of volcanic activity. 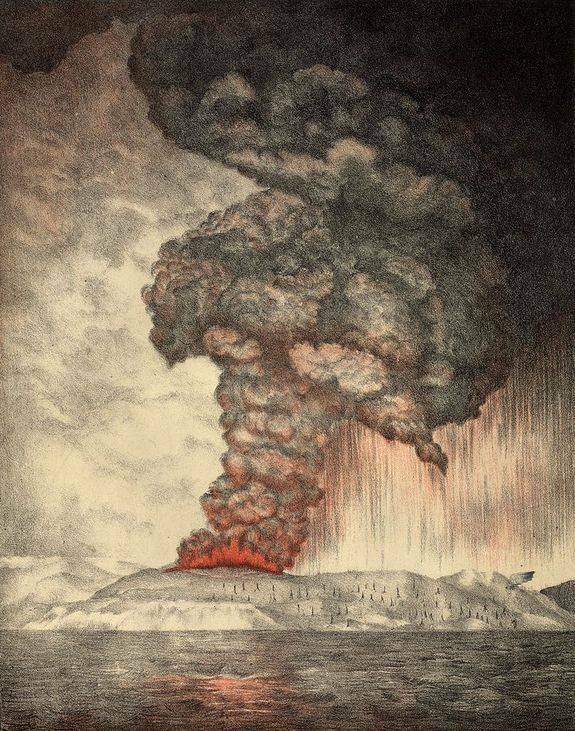 One of the most spectacular in recent history was the destruction of Krakatoa on August 27, 1883. Four tremendous explosions, heard as far away as Perth, Australia, some 2,800 miles (4,500 km) hurled an estimated 11 cubic miles (45 cubic km) of debris 15 miles (24 km) into the air darkening skies up to 275 miles (442 km) from the volcano. The eruption is estimated to have had the explosive force of 200 megatons of TNT. (For purposes of comparison, the bomb that devastated Hiroshima had a force of 20 kilotons. 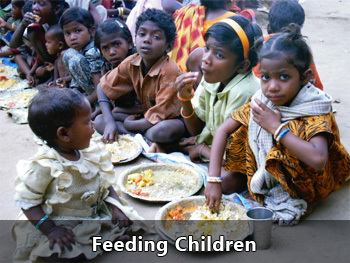 Loss of life is estimated to have been between 36,000 – 120,000. When it was all over only water remained where there was once an island. In reply to this I would just like to point out that Lord Caitanya Mahaprabhu appeared relatively recently in 1486, 530 years ago. His birth place was on the banks of the Ganga. Within a short period of time after His departure the channel of the Ganga changed its course and His birthplace was lost and covered in water. 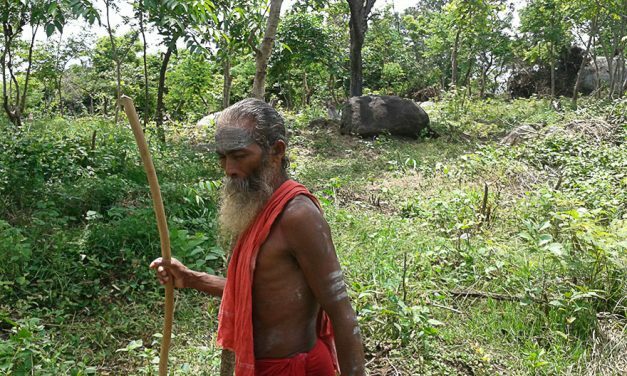 The Ganga changed its course several times and memory of His actual birthplace was lost. But this didn’t stop people from building temples and claiming that a different city was the birth place of Lord Caitanya and millions of people believed that to be true until Bhaktivinode Thakura with great dectective work was able to find the actual site of Mahaprabhu’s appearance. So if in only a few hundred years so much confusion arose in regards to Lord Caitanya’s actual place of birth, what to speak then of what confusion can happen in the interval since the end of the last Treta Yuga more than 900,000 years ago. Another point is that Ceylon was then part of the mainland and Lord Rama would certainly have traversed that area as well as other parts of extreme South India, so they indeed are connected to the Rama lila depicted in the Ramayana but that does not mean that “Sri Lanka” is the Lanka of the Ramayana. 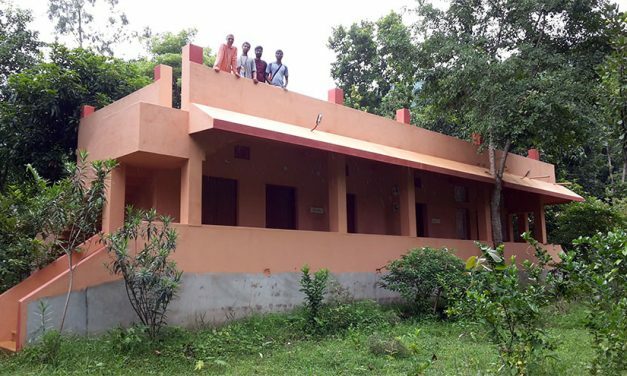 In the following letter from Tamala Krsna Goswami, Srila Prabhupada’s secretary, to Hansadutta Swami, he refers to ongoing research that they are doing under Srila Prabhupada’s supervision. And that during the course of their investigation the discrepancy regarding the identity of Lanka was discussed and that Srila Prabhupada concluded that the modern “Sri Lanka” was not Ravana’s Lanka of the Ramayana. In conclusion I have thus adumbrated a basic proof of concept 7 that modern “Sri Lanka” is not the Lanka of the Ramayana on the following basis. Ceylon was only recently named “Sri Lanka” in 1972. One ancient name for the island is Simhala, and even today the people of the island call themselves and their language as Singalese in reference to that name, yet texts like Srimad Bhagavatam name Simhala and Lanka as two different islands. “Sri Lanka” is less than 100 km from India but the Valmiki Ramayana unequivocally states that Lanka was 100 yojanas (1287 km) across the sea. And, according to the Suryasiddhanta the real Lanka was located on the prime meridian passing through Avanti (Ujjain) as well as straddling the equator, whereas “Sri Lanka” is about 500 km to the east of the prime meridian and 7 degrees (430 km) north of the equator. 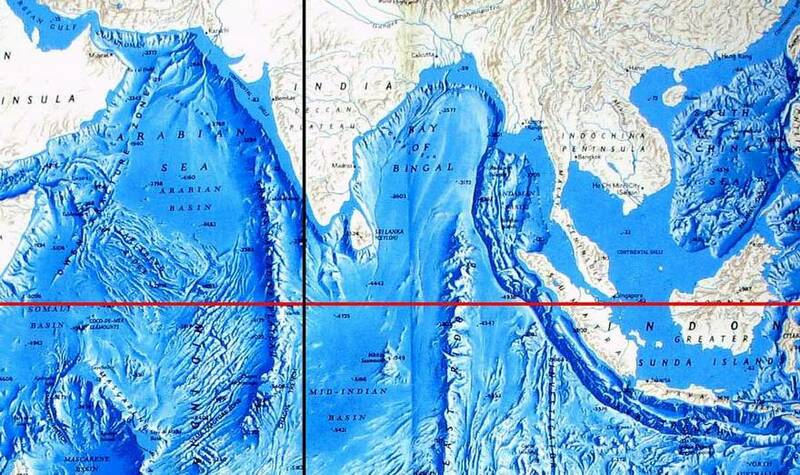 And, that in the vicinity of the intersection of the prime meridian of Avanti and the equator where Lanka is supposed to be located is a chain of undersea mountains that currently form the Maldives Islands. 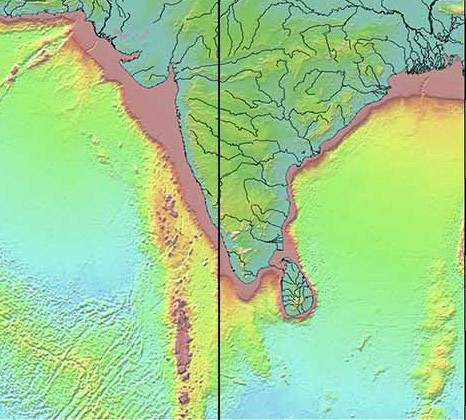 However, during glaciation periods in the distant past the sea level dropped by at least 130 meters bringing the undersea mountains above the surface of the water and equally important making Ceylon part of the Indian land mass and no longer an island. (Additionally aside from rising seas the original Lanka could also have been destroyed in a massive volcanic eruption and sunk into the sea like Krakatoa.) Hence, considering the above points and that the statements of the Ramayana are considered to be the highest evidence to followers of Vedic culture therefore “Sri Lanka” is not the Lanka of the Valmiki Ramayana. Really it is an excellent exposition regarding the present Sri Lanka. Many people till date were of the view that the Sri Lanka (presently known) is the same of Lanka of Ravana as depicted in a great epic Ramayana. Lanka sud b close to south pole. There is also a possibility that our current sri Lanka, be part of some lost continent, that connected Australia, india, Madagascar. Yojana is an ill defined distance. 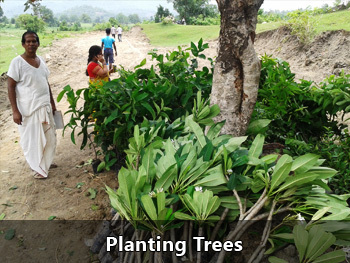 It is folklore that a yojana is 8 miles and nothing more. Then we have the Rama Sethu photographed by NASA. Somhala is the name of the tribe of people living there but not of the place.Let us not distort facts just for the sake of getting an article published. I have translated Raamayana of Vaalmiki into English which was published in USA and is available on Amazon.com. So, please assume that I know what I am talking about. 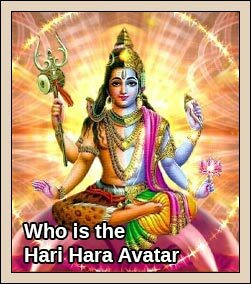 Here I give you a link Sri Shyam, definitely you will find the answer by Lord Rama’s grace. “I have translated Raamayana of Vaalmiki into English which was published in USA and is available on Amazon.com. So, please assume that I know what I am talking about” observation is not supported by reason – ‘statement of faith’. The silly reference to NASA pictures becomes a FACT if EARTH had been a static piece of rock. ‘Ice Ages’ are indeed a scientific fact along with the relationship between ‘Sea Level’ and ‘Ice Age’. I think this is a conspiracy by North Indian politicians to use the Sethu harbour for commerce. In this article and discussion one basic thing is lost sight off. Due to continuous geological activity the islands / continents have been drifting. Rising Himalayan elevation is the example in the point. So present distances have no relevance with the distances during Ramayan periods. 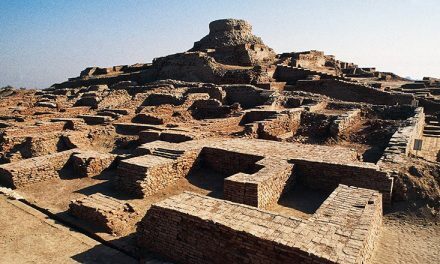 Yojan measure & its equivalent conversion into present day kilometers etc is only a guess work & can not over rule the present archeological & other findings on the ground. If Yojana is 8 miles then 100 Yojana is 800 miles right? But the distance between India and srilanka is only 64 miles. Ramisethu can’t exists for 900000years right? Also long distance measurement is always an approximation because can you tell me the exact distance between Newyork and Huston? It varies right depending on your starting point and landing point. I am not an expert on Ramayan but one should be open to alternative explanations. Who knows when we find the new facts about Ramayan and Lord Ram. It does not take into consideration the location of maharaishi valmiki..from where he took the reference of 1287 km, it needs to be investigated the location of maharishi valmiki place. All this possibilities given above looks like a wide assumption. The article does not take into consideration the effects of shifting of the landmass with the formation of the Himalayas. The original India was further to the south west and moved towards the north east in course of time , docking with the Asian subcontinent causing massive rise of landmass at the junction. Even today the Himalayas are rising in overall height in spite of melting of glaciers causing some loss of height. Sri Lanka would also accordingly be to some distance south west of the present Sri Lanka. Hence, though the information is correct it has not been interpreted correctly taking into account the shifting of landmass. 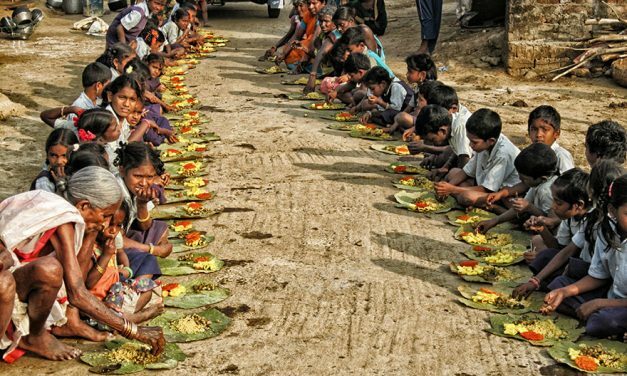 The present SInhalese may be migrants from SInhala who claim Sri Lanka to be their homeland for obvious reasons, when actually it may have belonged to the Tamilians in distant past. This is just a conjecture and not based on research. The whole exercise is complete waste of time. We just need to understand the good principles and ideals enshrined in the Ramayana and try to practice them in daily life. Rest is waste. I can’t accept this theory. If change of water level can push one way it can also push the other way I mean towards India.what’s your explication about sethu and the medicinal plants availability in srilanka? I think that as seetha matha stayed in Lanka it got the sri added to it’s name. I’m not well versed in Ramayana but with the little I know it’s hard to believe your article. Article is worth reading but will not definitely have impact on faith on Lord Rama’s existence. the Lanka of the Ramayana era having moved nearer to the peninsular formation,over tens and thousands of years. K.LAKSHMAN. If Sri Lanka is not the Lanka of Ramayana, then how do you explain the status of Sethu Bridge? I think research into our historical epics is a must. It increases our knowledge of the past. And alternative theories and interpretations are very welcome. And many long held beliefs fall by the way of new research. Indian history is full of allegory and so delving into its mysteries is so much more exciting. Thanks you for this article and a new point of view. The writer refers to a longitude of his own and the modern equator in locating Lanka. Lanka is not Maldives. Lanka is a land of spirituality and diversity. The writer makes an effort to show that modern Sri Lanka (British Ceylon) is part of India. Come to Sri Lanka and enjoy the difference in life and life style. 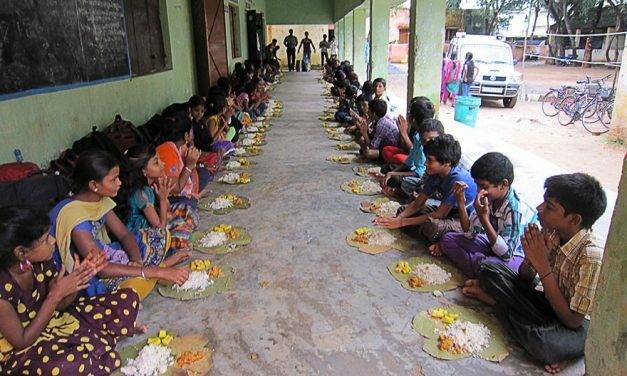 It is not India, although throughout history Indian groups have amalgamated with the Sinhala community. 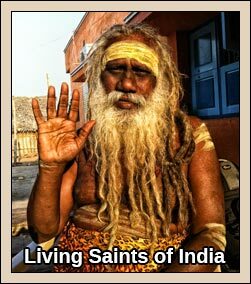 The religion is Buddhism, which was banned in India as it was antibrahminism. Buddhist principles can thrive in Lanka as the mindset and governance is very different from authoritative Indian style! So are you trying to say that Ram Sethu is not real? And then the ramsethu which started from rameshwarem might have extended upto singapore but only the negligible part of it is visible now. It is an imaginary world Having lived in SL I am sure it is not the same island as described in the epic. Due to geological changes present Sri Lanka may have been part of India and got separated.The sethu bridge is a chasm of this.Original Lanka cannot be so close and may have disappeared. 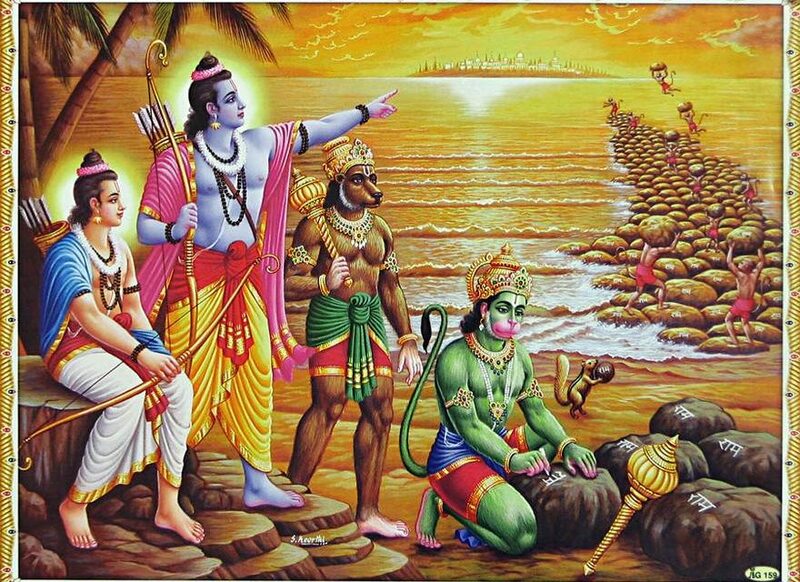 all the place in ramayana and mahabharatah real but does not mean that it is a real incident ….. In your recent article about Lord Rama, you have depicted his DOB as 10th Jan 5114 BC. That is about 7000 years back and all proofs were given from Ramayana to substantiate this. Now in this article they say it is 900000 years before and substantiate with some proof. Why this contradiction? Which is correct? whom to believe?Is there any authentic body to research this subject in deep? Though I am a natural born Hindu, shamefully I didn’t know a lot of the things written above by the people. Got me interested & will do some research myself. Thank you folks for the very interesting reading. kumari kandam is submerged which was very vast area even many times bigger than India.It was extended from Africa and Australia.Present Lanka was part of kumari kandam.Mhabalipuram, dwarka submerged.Dwarka submerged approx 10,000 years back.Likewise many cities or countries on earth submerged at different different times.This fact is deliberately ignored,because it leads one dharma ,one king ,two prevalent measurement ie 1 dhanush of 108 angul or 96 angul .In germany Nrising bhagvaan statue of 32000-40000 years old,in peru more than 5000 years old yajna kund found.Similarily in New zealand,Australia,Indonasia many statues of 4000-5000 years old have been found.In central America Ahiravan,makaraddhwas and monkey god Hanumaan found,which is patalpuri and is mentioned in Ramayan.Veda belongs to whole world .According to veda there were 5 vanas.DNA also prooves that.Now slowly and slowly Historians are also of the view that vedic period needs to be revised.correct fact will come only when submerged countries are and their submergence is assessed.DWARKA Submerged in last worlwide flood of approx 10,000 years back.With ASWIN nakshatrarepeataion in 2700 years Mahabharat would have been 10800 years back.With this grah nakshatra and dwarika submergence both matches.Likewie if submergence kumari kandam is found, Rama period can be calculated. There is substance in the article, one caanot reject it. I have a long standing doubt. When Lanka was south east of India why Ravana should take atma linga from kailash to Gokaran which is west of sri Lanka. Perhaps, it answers and confirms the contents of this article. Let us not draw conclusions. I thank the author for his in depth study. Let us start thinking without blaming historians as communist or western. They too have some ethics! Good inference. But I doubt to accept. I olden days Entire Earth is one Iland. Earth Quakes, Ice ages and movement of earth surface altered the topography. This is logically good but do not qualify. This theory Conveniently ignored continental drift. In modern era drift is taking place upto 7″ per year. If you calculate at this rate Current Sri Lanka is the correct place. It comes to nearly 180 Km. Recent 2004 tsunami shaken the earth and earth wobbled from its parth i.e moved away little bit. This will further make continental dift faster. We do not have such kind of records in the past to make provision for drifts. Further, if 2004 Tsunami can do such a distruction & wobble earth for seconds, Krakatoa affect must be much more than that. So do not accept this theory. My theory is Current Sri Lanka is Part of that lanka only. Searching under water is the right path to reveled the fact. Babu you’re so right! I couldn’t have said it any better; God bless. Drifting of continents etc are toobig issues to be discussed by the specialists which should be most welcome. Ramayana and Rama are that old? Indians are too liberal in adding zeroes, not my words, HH Jaggi vasudev ji says so. Even Yogada in his autobiography of a yogi gives yuga cycle as Kali 1200, dwapara 2400, Greta 3600 & SATYA 4800 years. Let us invite experts in different walks of life to participate with supporting evidence. Truth must prevail! Jai sreeram! Nikumbala is nothing but Pratyangira Deiv (female from of Narasimha). 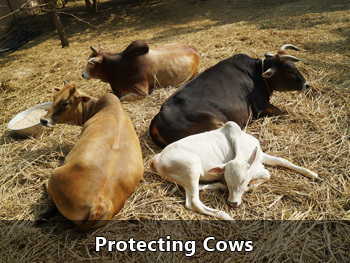 Still it is worshipped in AP, Tamilnadu and Southern Parts of India. If present day Shri Lanka is not the Lanka mentioned in the Ramayn, then what’s the explanation for the submerged bridge built by Hanuman and his team that still exist today. The bridge is seen from space and has been renamed ‘Adam’s Bridge’. Good article to rattle the mind to begin our own research and conclusions. I still have faith in the Valmiki Ramayan and it’s calculations. Good example is “yug shahastra yojan paar bhanu” His calculation of the distance between earth and sun. Still undisputed yet NASA agrees. Good dialogue to stir our minds anyway. “Regarding motion of land masses, that is very speculative. According to current geological theory huge land masses called “tectonic plates” move at extremely slow speeds typically around 10-40 mm/year. Assuming that an island was on the equator on the meridian of Avanti then it would be about 1380 km from current “Sri Lanka” moving at the speed of 40 mm/year it would take 34.5 million years to reach current position of “Sri Lanka” yet events of Ramayana took place less than 1 million years ago. “Yojana is an ill defined distance. 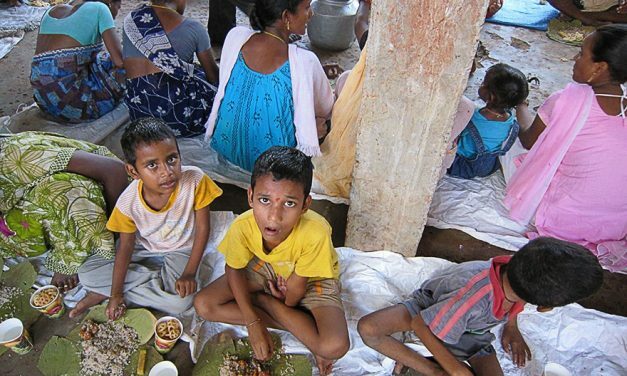 It is folklore that a yojana is 8 miles and nothing more. … Let us not distort facts just for the sake of getting an article published. So actually it is a very precisely defined distance. No one is trying to undermine a person’s faith in existence of Lord Rama. I am definitely a firm believer in His existence. Using extrapolation we find that Kali Yuga began in 3102 BC and after the 27 Year 3rd world war which ends in 2064 AD then we get Kali Yuga to be only 5,166 Years. 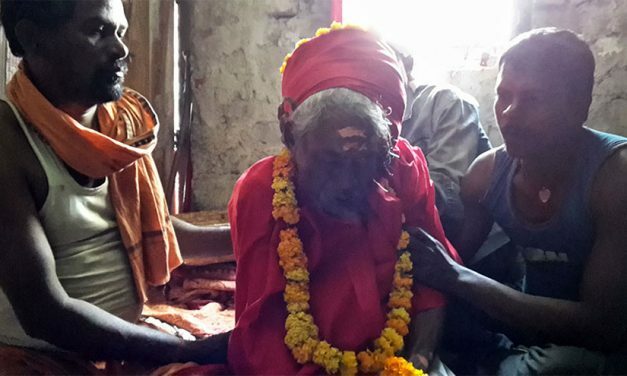 Sree Veerabrahmendra swamy a reincarnation of Lord Krishna predicted that he will come as Kalki ( Sree Veerabhoga Vasantharaya) after 5,000 Years of Kali Yuga has passed. Thus Dwapara Yuga is 10,332 Years. Hence these events happened only 15,000 Years back. In Srilanka a site which is taken to be the place where the war between Ravana and Lord Ram took place and one can see the ground is black. Srilanka is indeed the lanka of Ramayana. Interesting article. At no point does the author state lack of belief in the existence of Lord Rama..All he does is calculate the distance from Bharatvarsha to Lanka and therby puts forth a proposition about it’s actual location. Alternative views do exist and may be true..Scientific historical research requires an open mind and therefore the article adds to the existing domain knowledge.